I love HermÃ¨s. In case you couldn’t already tell. 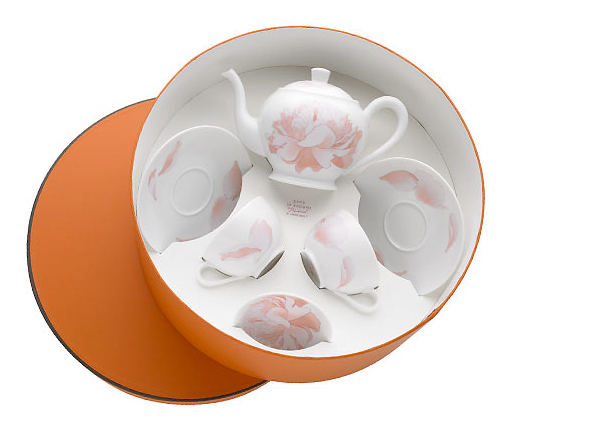 Popped over there following a link in my inbox and found the adorable Peony Tea Set. The teapot and cups are so perfectly proportioned with beautiful illustrations of peonies, my official favorite flower of the moment. Perfect gift for mother. Or yourself. Gorgeous. Tea Set for Two, $495. If only I could justify such a splurge Ã¢â¬â sublimely gorgeous!